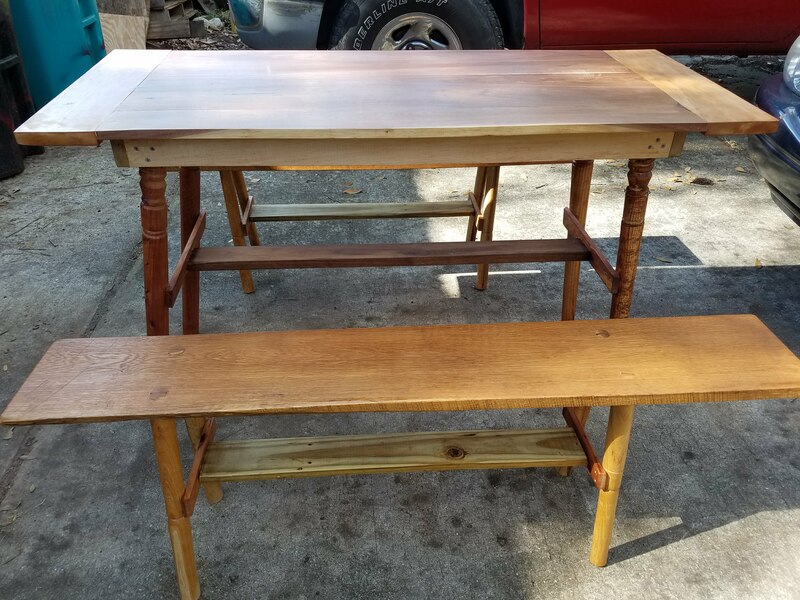 I can make just about any size/shape table that you desire. Simply send dimensions, type/color of wood (s) and any thoughts you have regarding your selection. I will send you back a detailed sketch and price range. No piece will be sent until the pictures you see satisfy you that it will be what you want. The table pictured above is a 5 plank walnut table. It is joined by pegs, with bread boards added on the ends. The finish is a combination of boiled linseed oil and beeswax. It was treated five times and rubbed with 0000 steel wool after each coat.